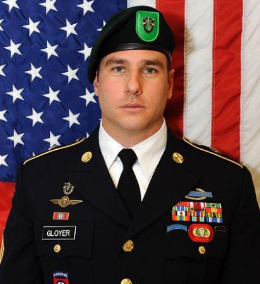 SFC Ryan Gloyer was killed in action in Kunduz, Afghanistan on November 3, 2016 while conducting a ‘train, advise, and assist’ mission with Afghan special operations forces. He died of wounds sustained during a mission against Taliban forces. Ryan Gloyer was assigned to the 10th Special Forces Group based at Fort Carson, Colorado. SFC Gloyer, age 34, was from Greenville, Pennsylvania. He was a 2000 Seneca Valley High School graduate and earned a bachelor’s degree in psychology and elementary education from Thiel College in Greenville, Pennsylvania. Gloyer joined the Army in December 2004. He was a Communications Sergeant and was on his third deployment to Afghanistan. His awards and decorations include the Bronze Star with Valor device, Bronze Star, Purple Heart, two Meritorious Service Medals, two Army Commendation Medals, Army Achievement Medal, Afghanistan Campaign Medal with Campaign Star, Global War on Terrorism Service Medal, Combat Infantryman Badge, Expert Infantryman Badge, Parachutist Badge, Ranger tab, and Special Forces tab. 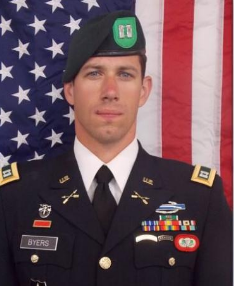 Also killed in the combat action was another member of the 10th Special Forces Group – Captain Andrew Byers. 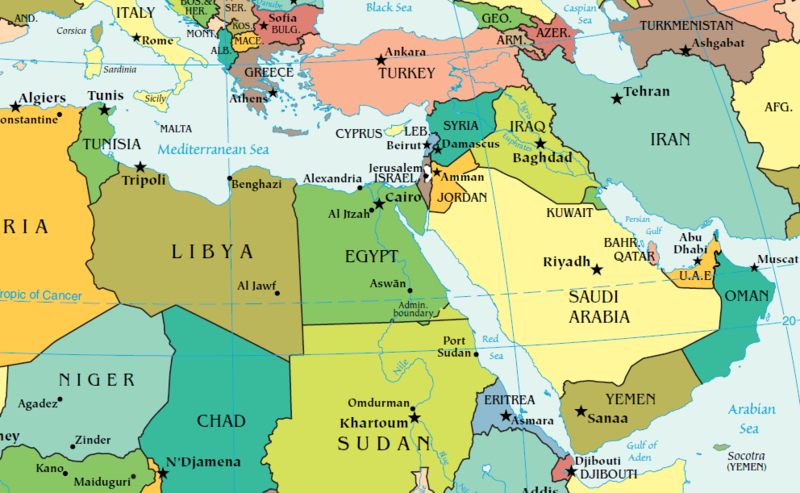 Several other U.S. service members were wounded. It is reported that four members of the Afghan SOF unit also were killed and several Afghan SOF members were wounded. Kunduz has been the scene of heavy fighting over the past few weeks after an attack by the Taliban in October. The city of Kunduz was seized in the fall of 2015 by the Taliban for over two weeks. “Kunduz casualty release (Nov. 3, 2016)”, NATO Press News, November 3, 2016. “DoD Identifies Army Casualties”, DoD News, November 4, 2016. “SOF casualties identified”, Army.mil, November 4, 2016. “DoD identifies two Green Berets killed in deadly Afghan battle”, Army Times, November 4, 2016. “Green Beret from Zelienople killed in Afghanistan”, TRIB Live, November 4, 2016.